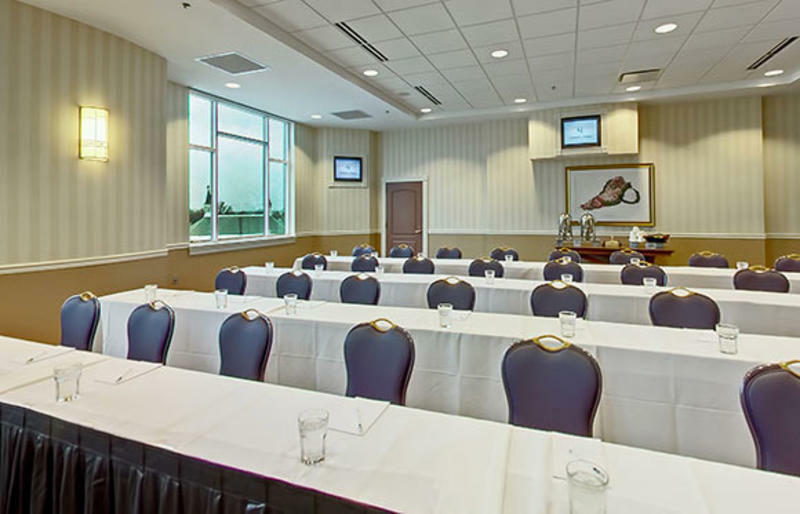 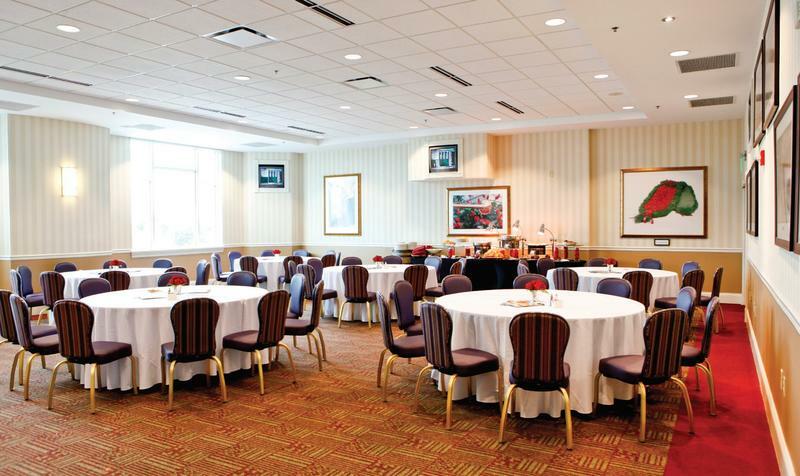 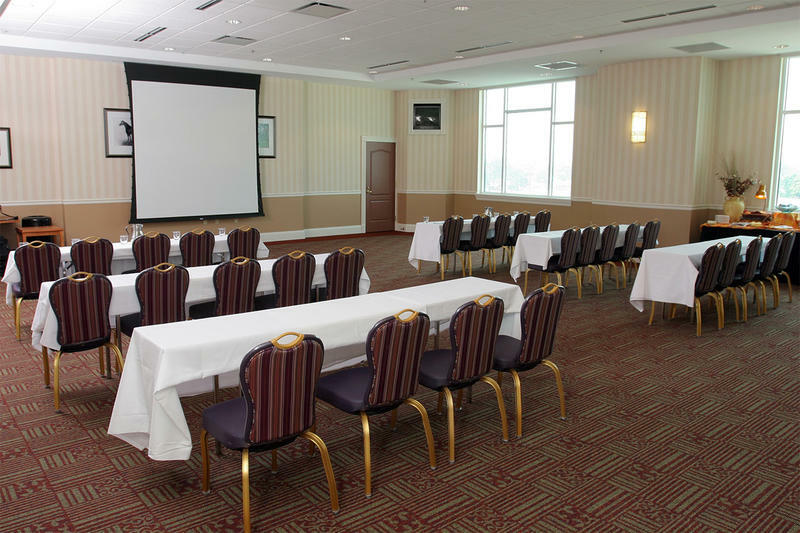 *Rooms may be combined to customize your event. 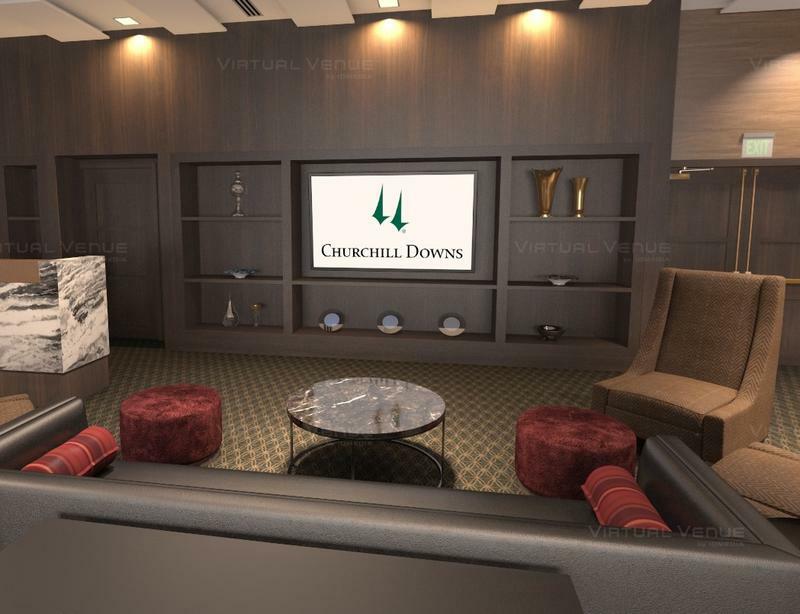 For more information please contact our Group Sales Department at 502-636-4450. 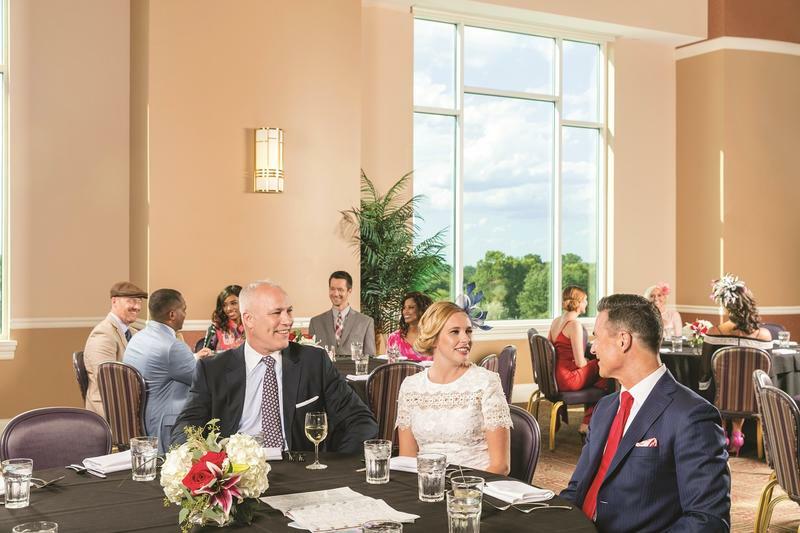 Classic location in the Clubhouse with beautiful dining space and four-tier balcony overlooking the legendary Finish Line. 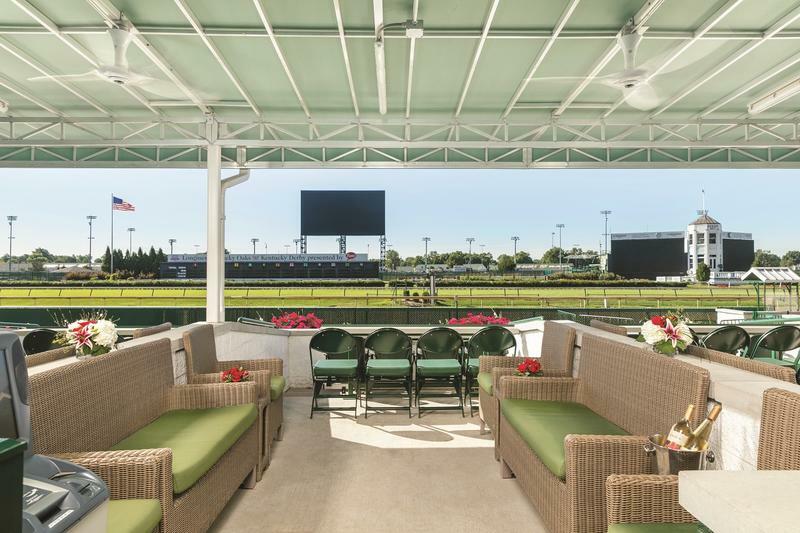 This space can be joined with the Adjacent Stakes Room or Sky Terrace for large groups. 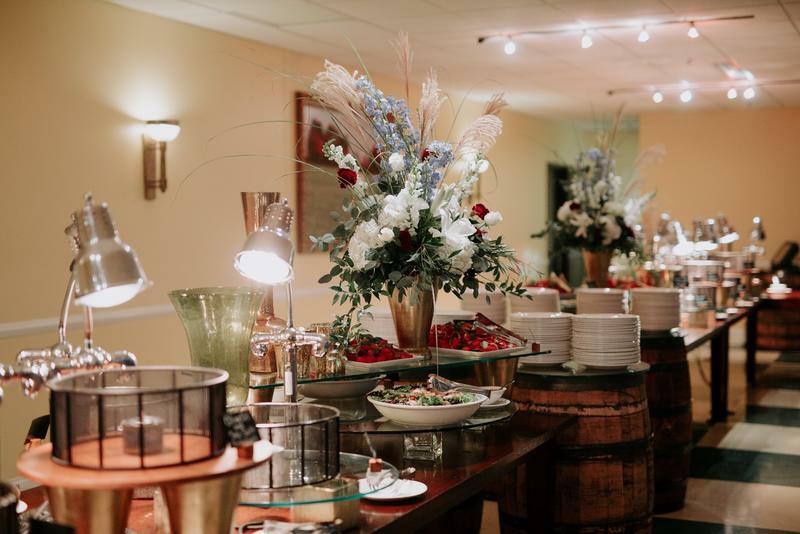 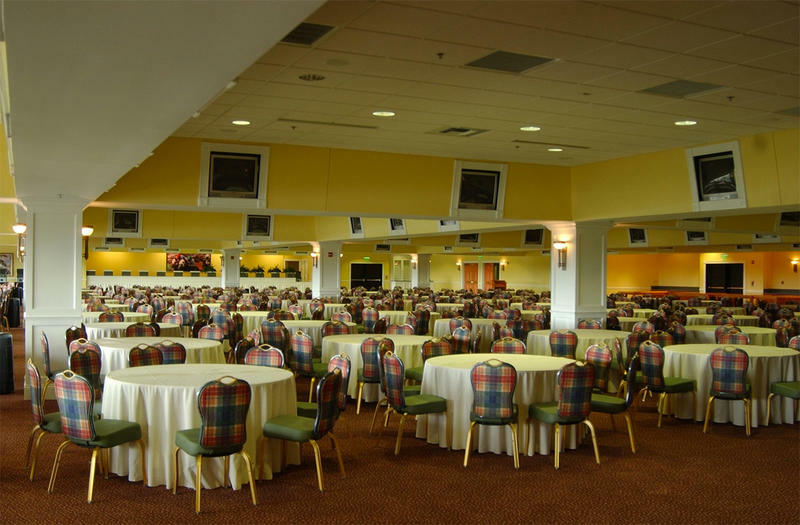 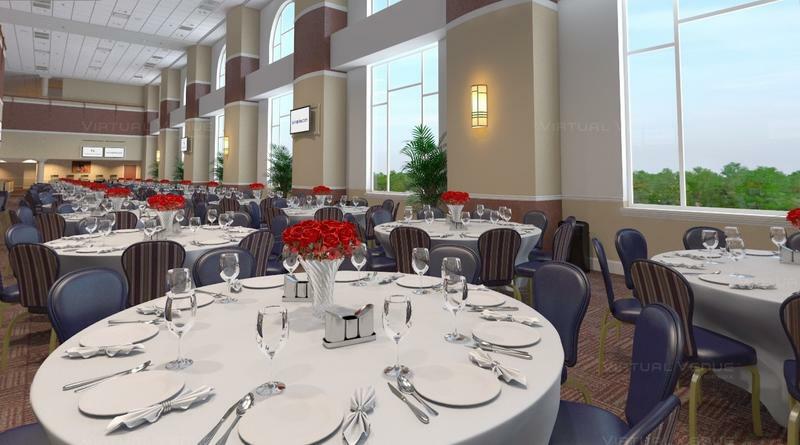 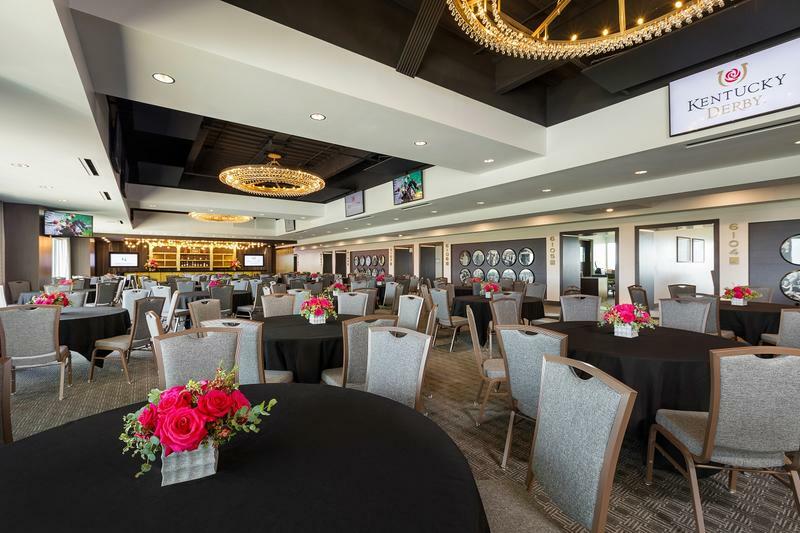 Classic location in the Clubhouse with beautiful dining space and four-tier balcony overlooking the First Turn of the racetrack. 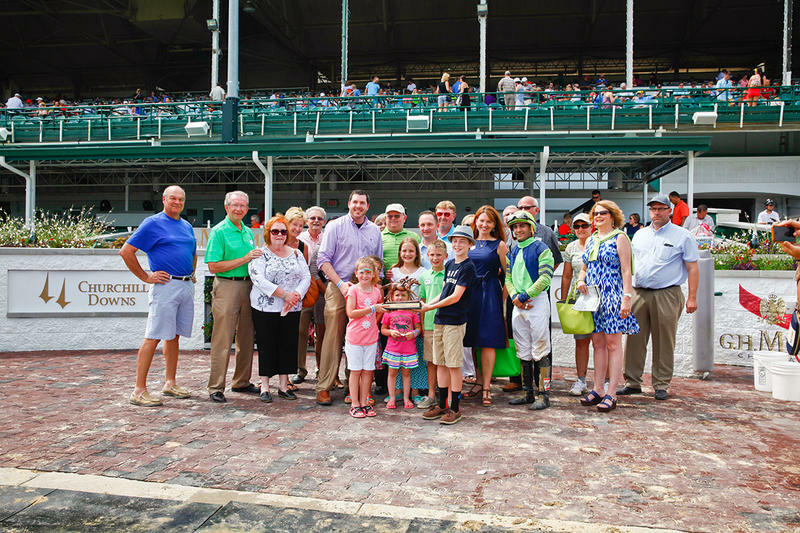 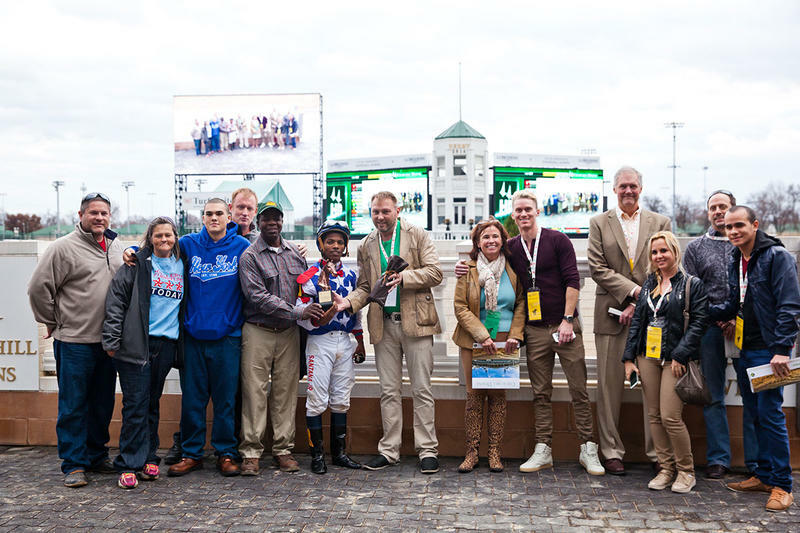 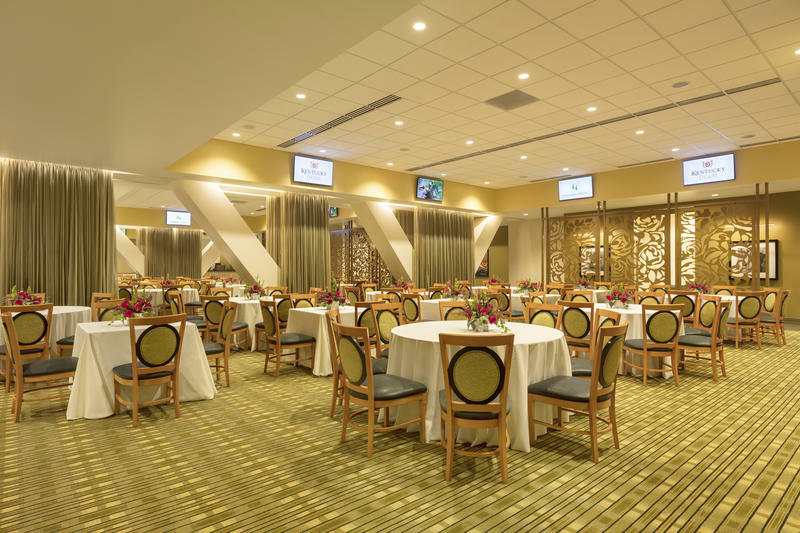 The Directors Room is the VIP location where stakes race winners toast their victory after each race. 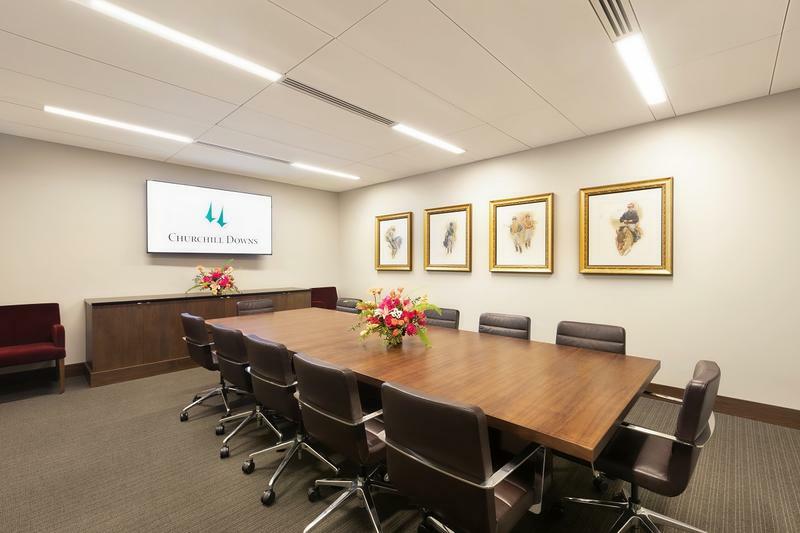 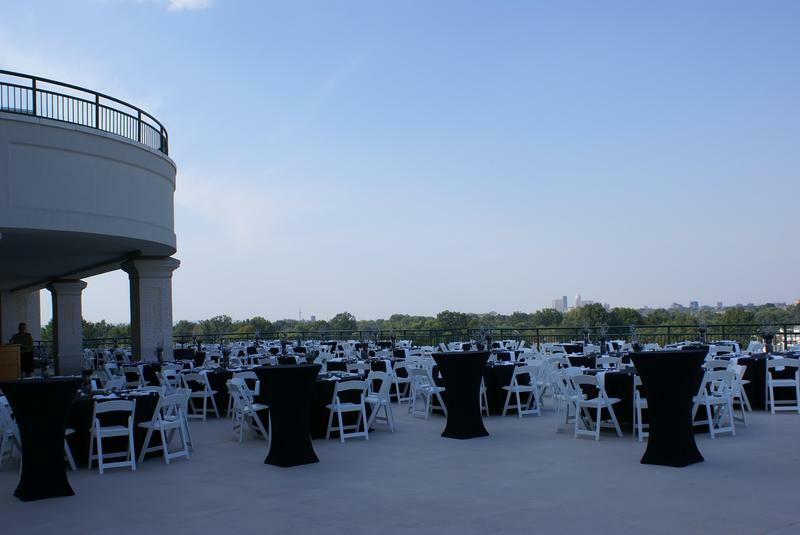 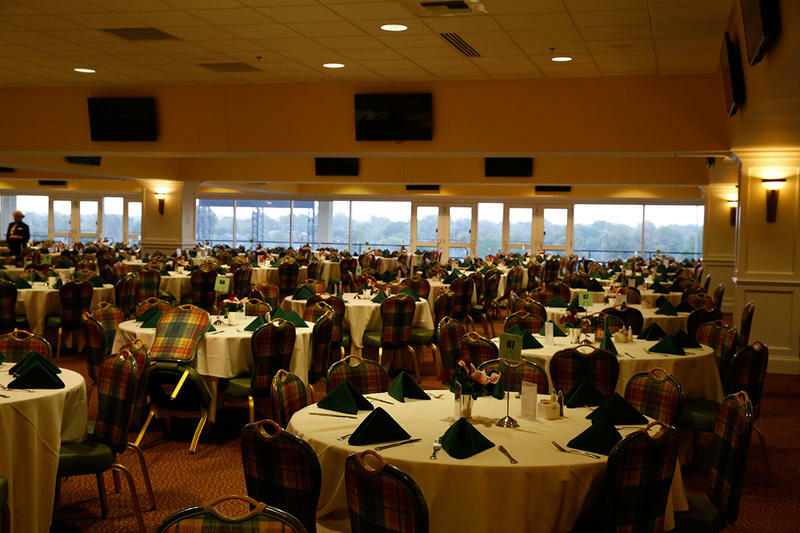 Located adjacent to the Turf Club on the 3rd Floor of the Clubhouse, this venue is the perfect size to host a cocktail reception or private dinner. 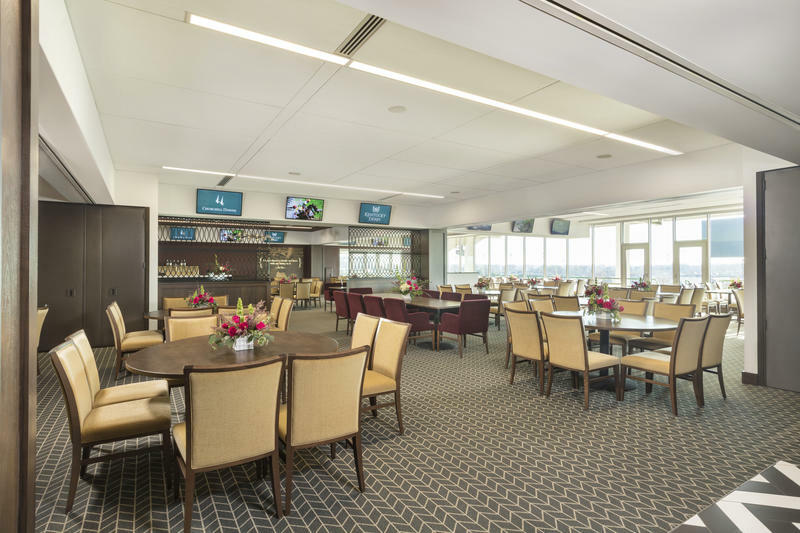 This beautifully appointed interior dining room has outstanding track views, including those of the final stretch and finish line, plus an expansive, covered balcony overlooking the Paddock. 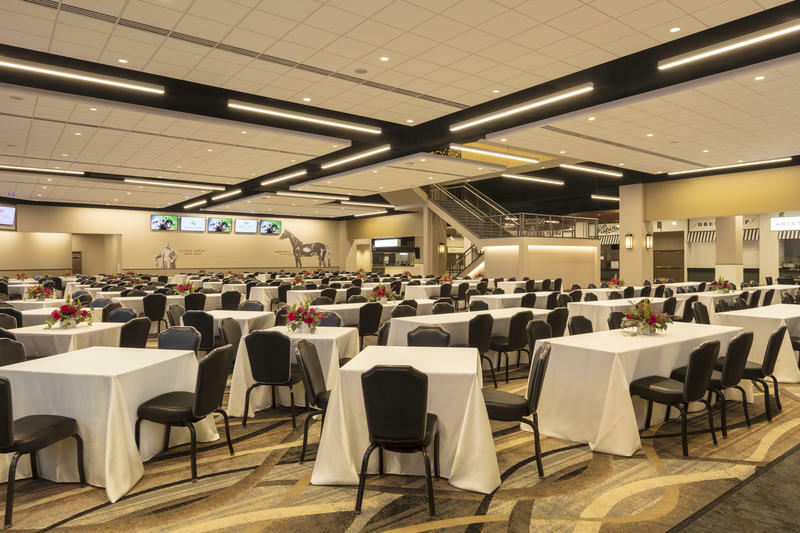 Enjoy gracious décor showcasing the excellence displayed by Triple Crown winners and other unforgettable performances by horses and horsemen. 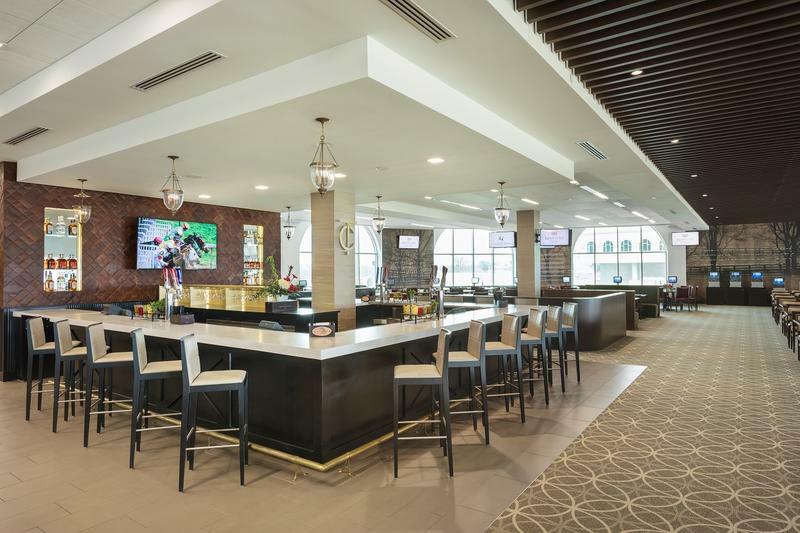 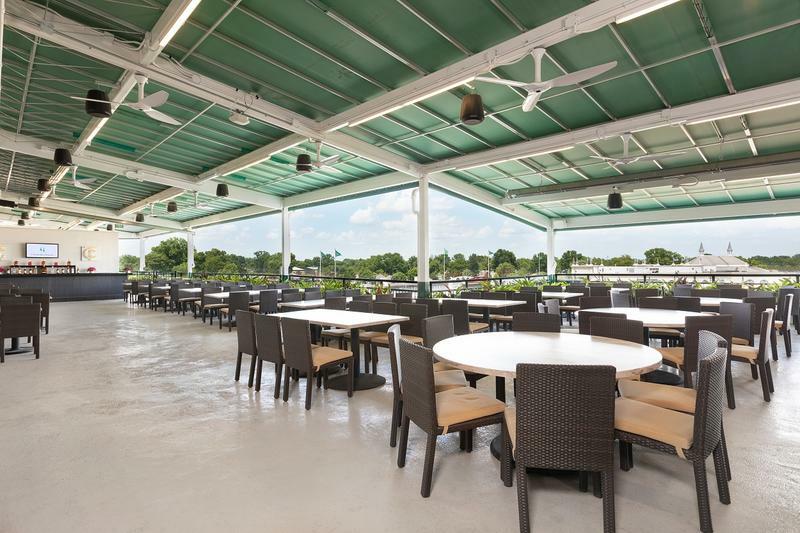 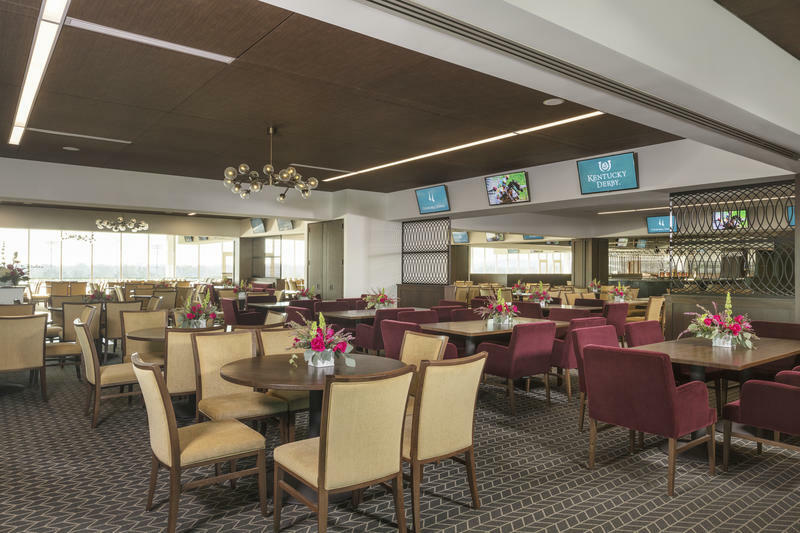 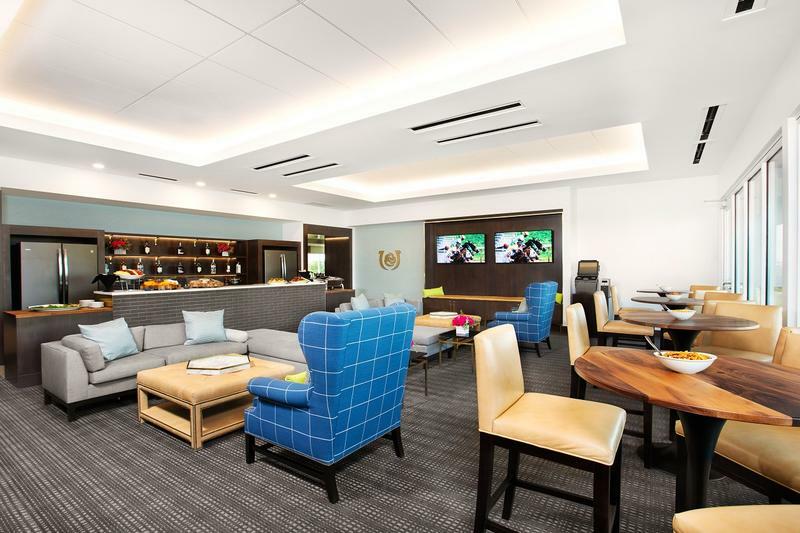 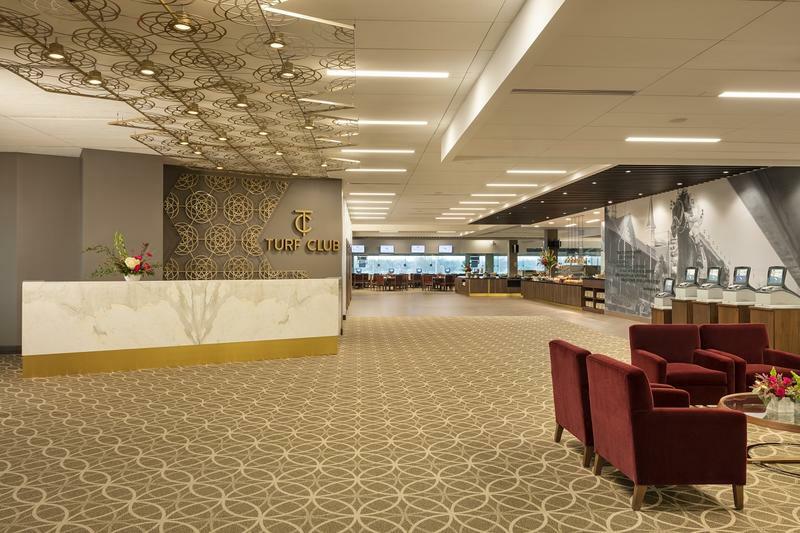 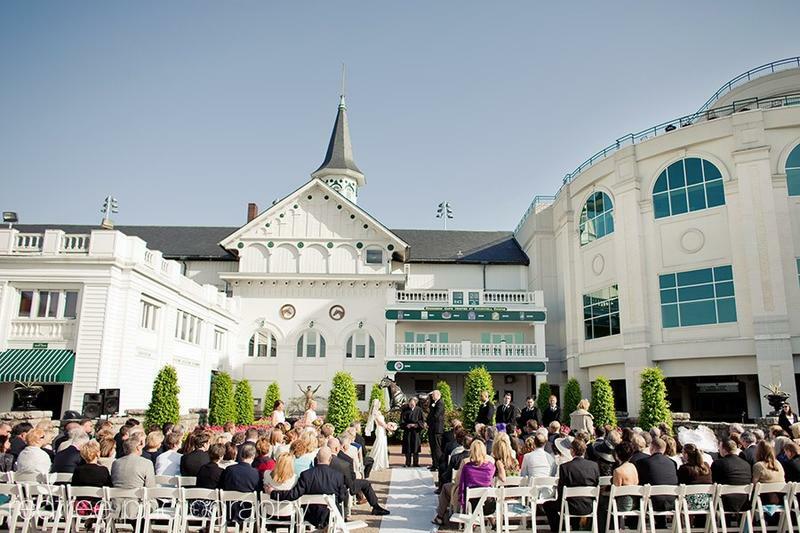 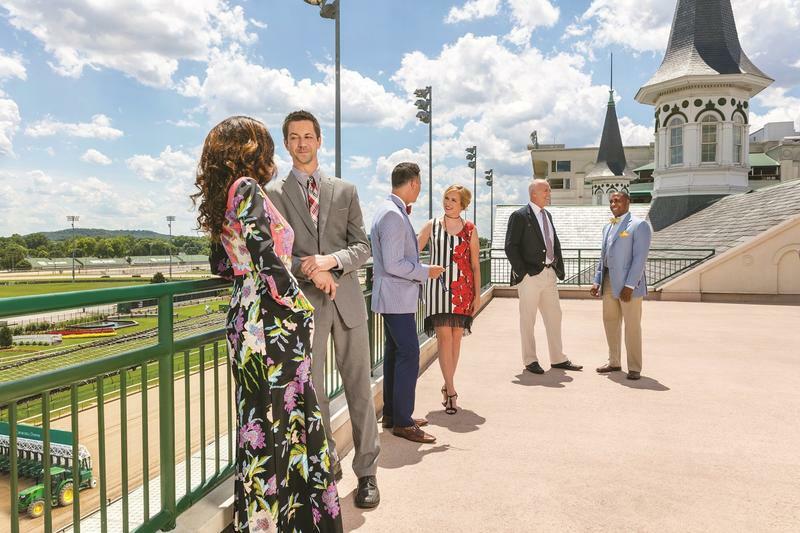 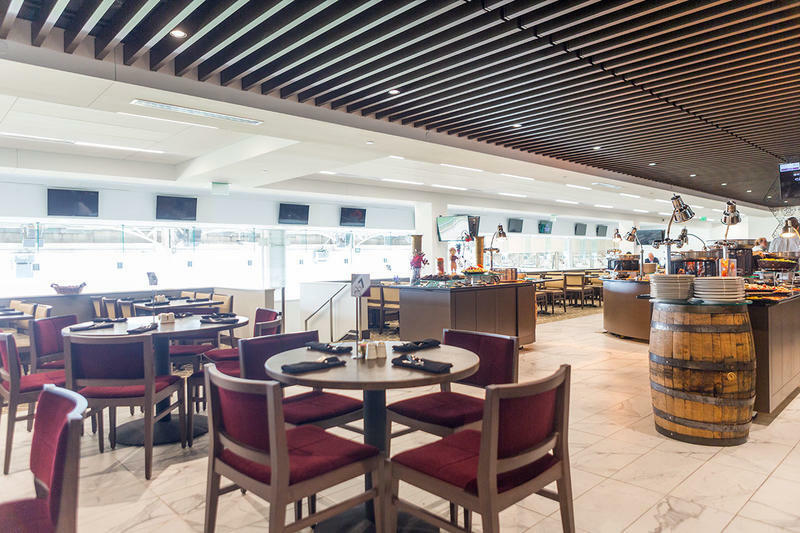 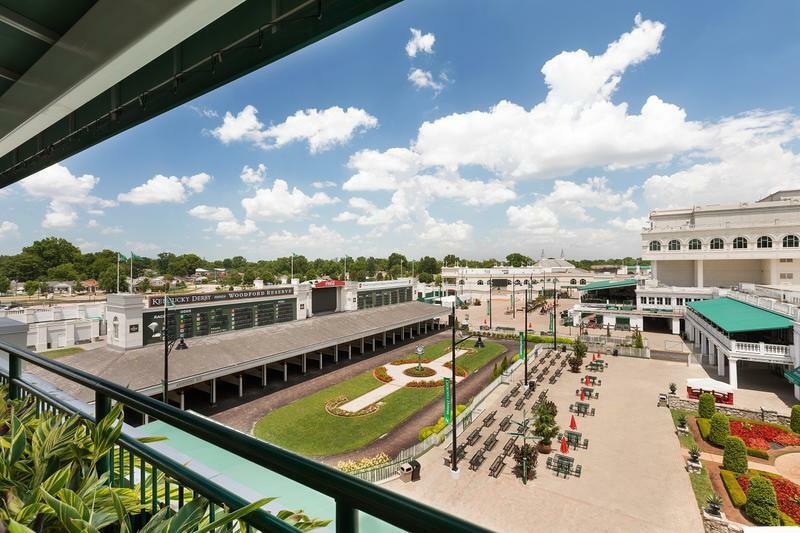 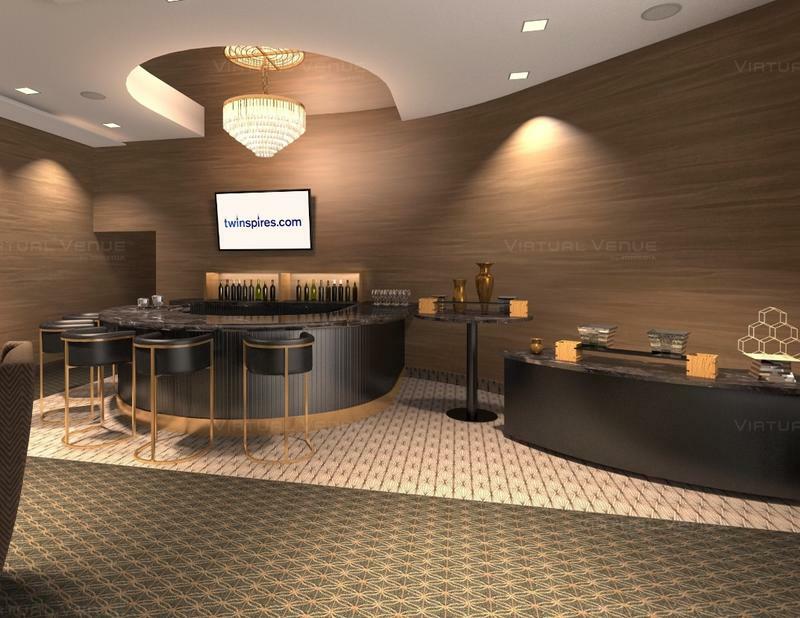 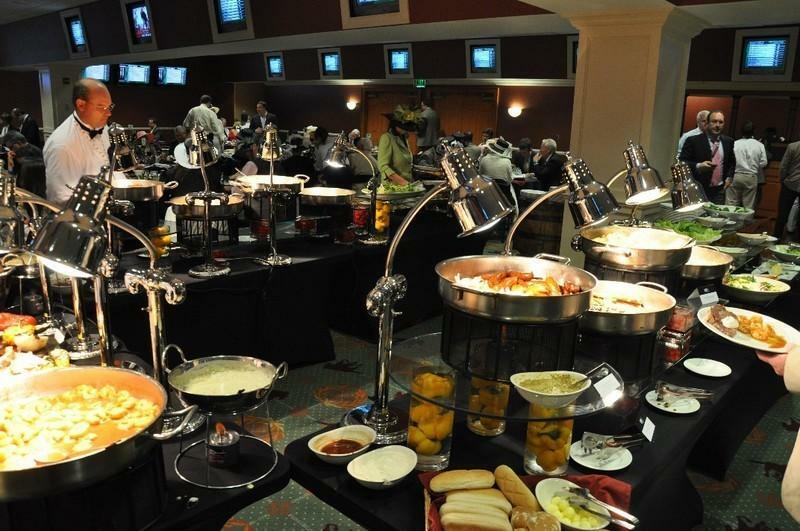 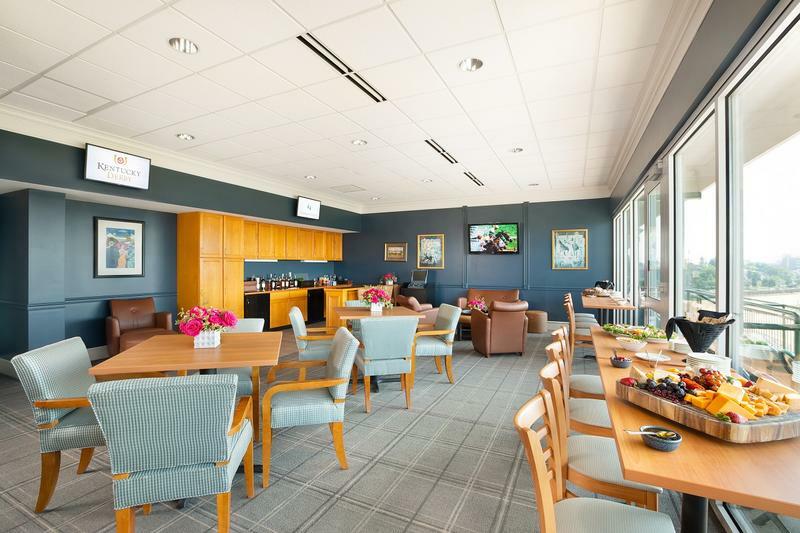 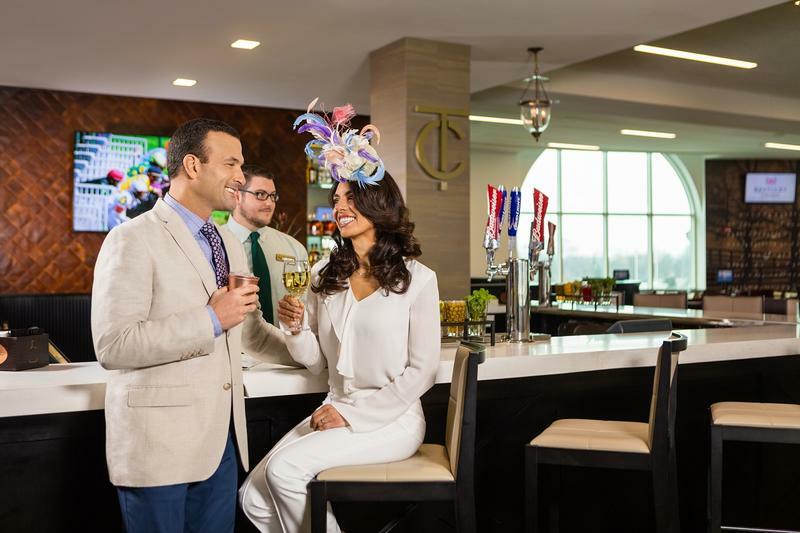 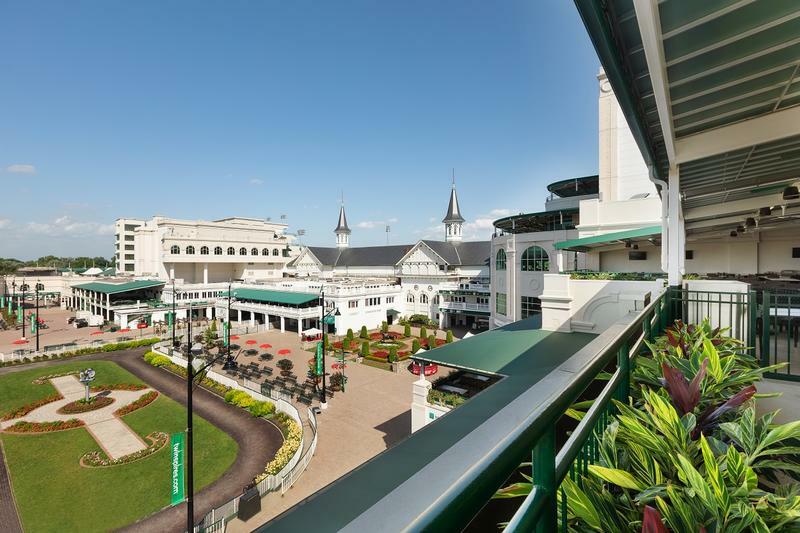 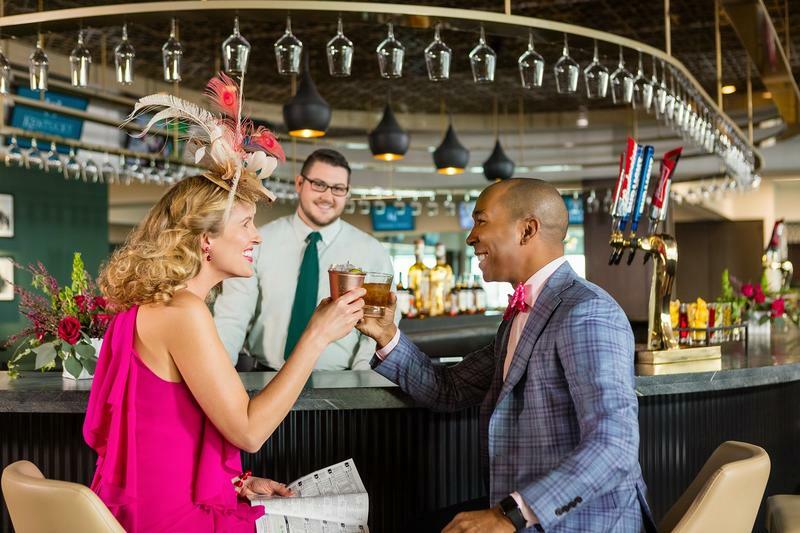 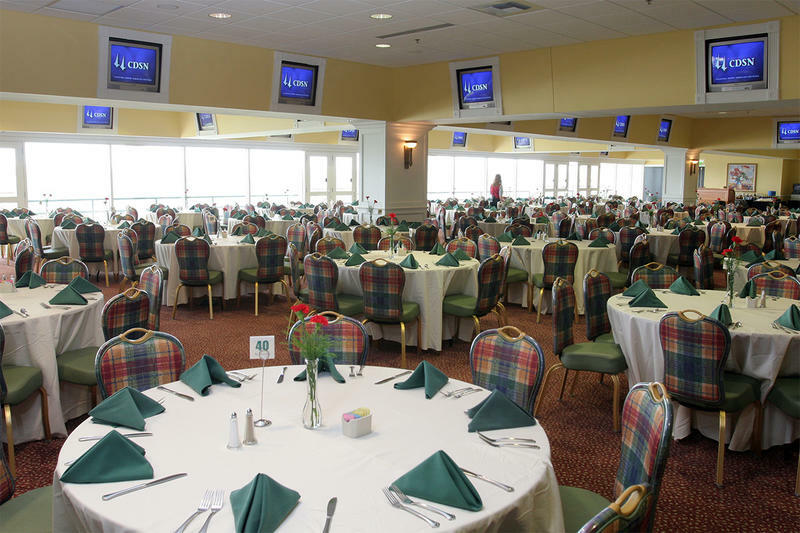 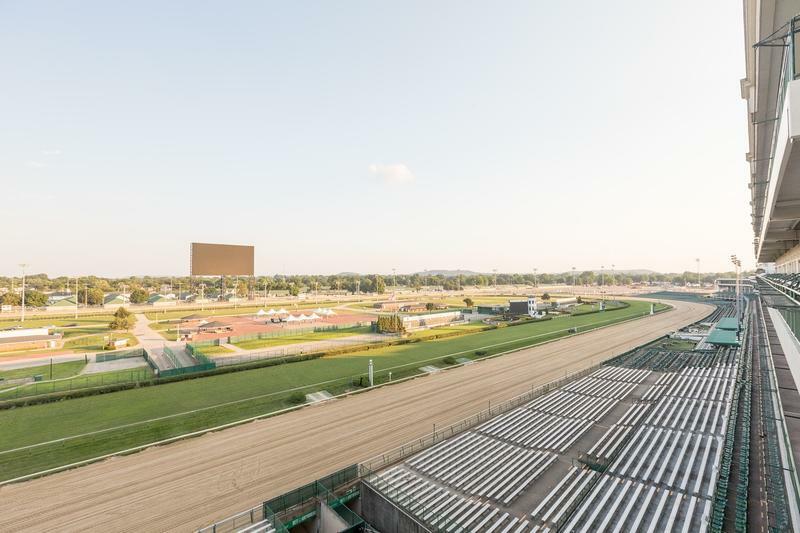 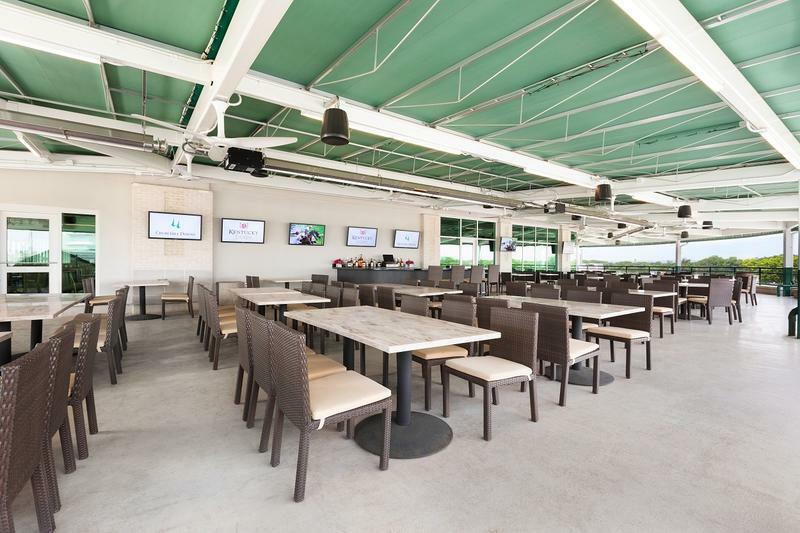 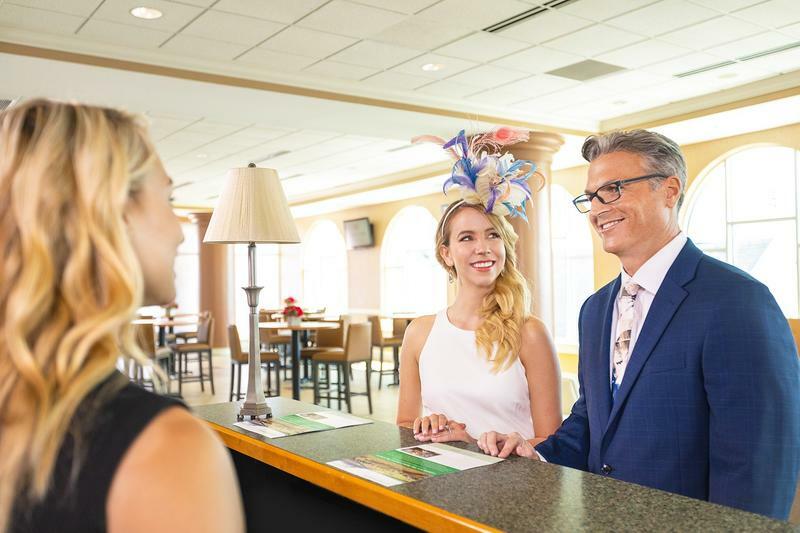 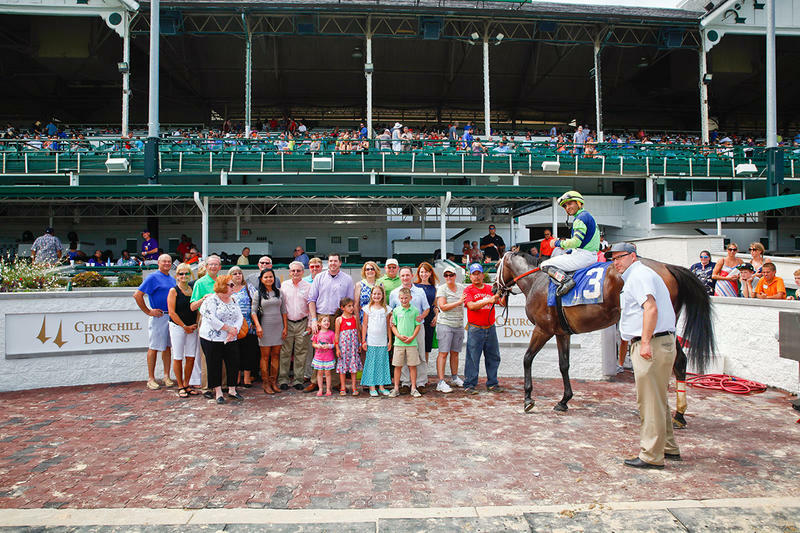 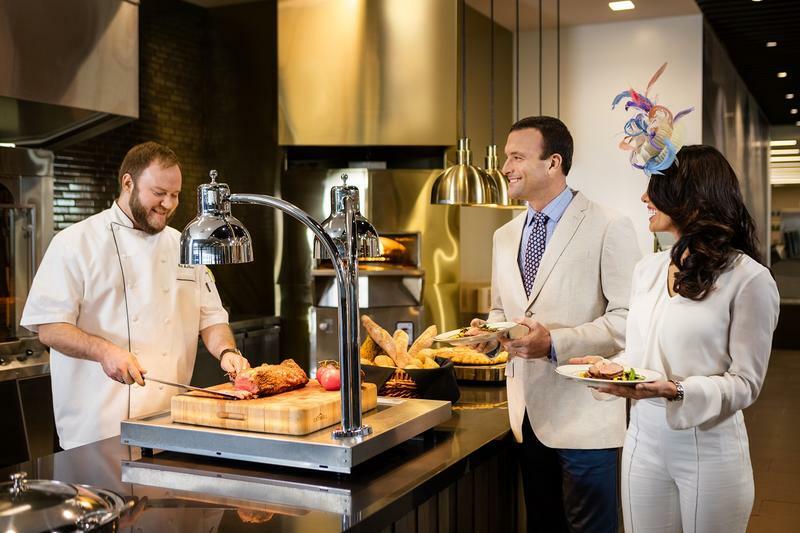 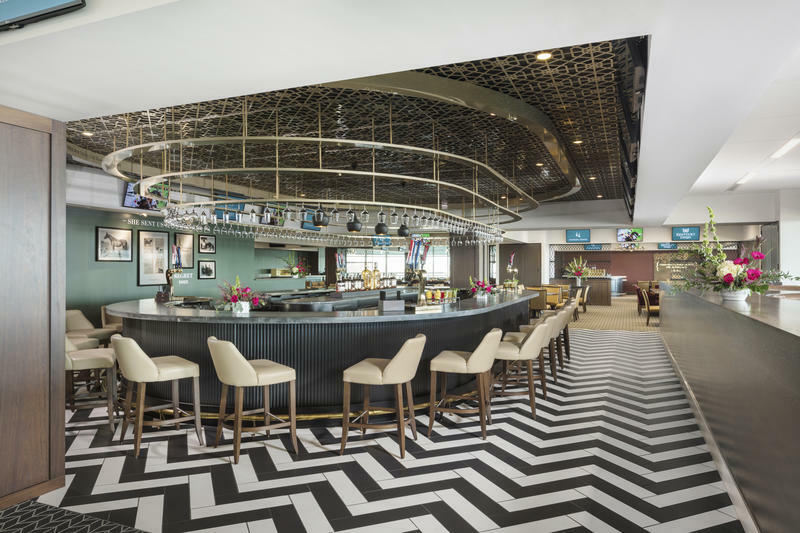 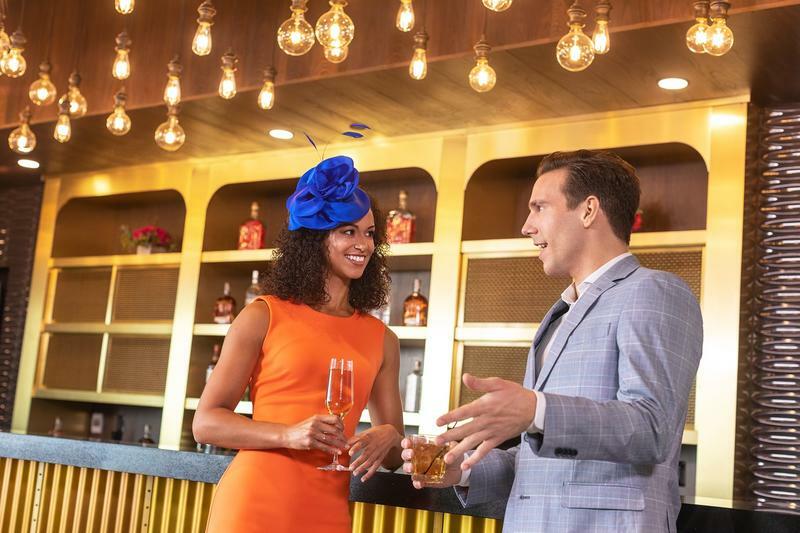 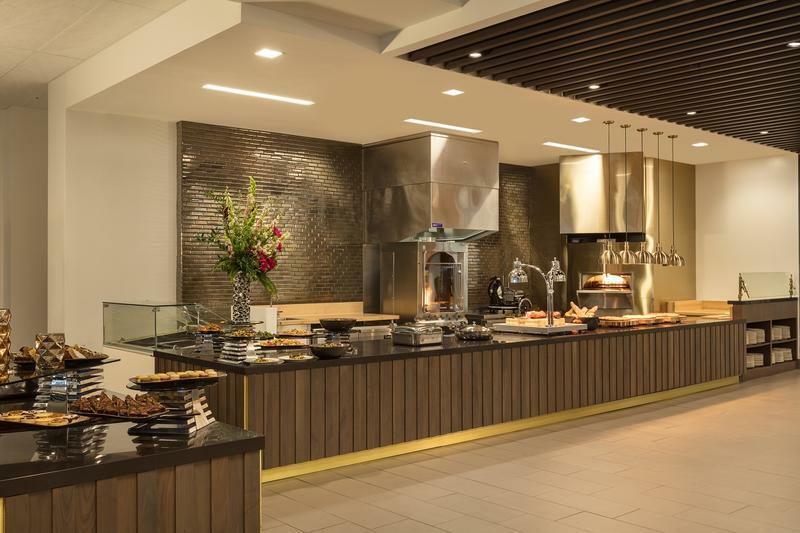 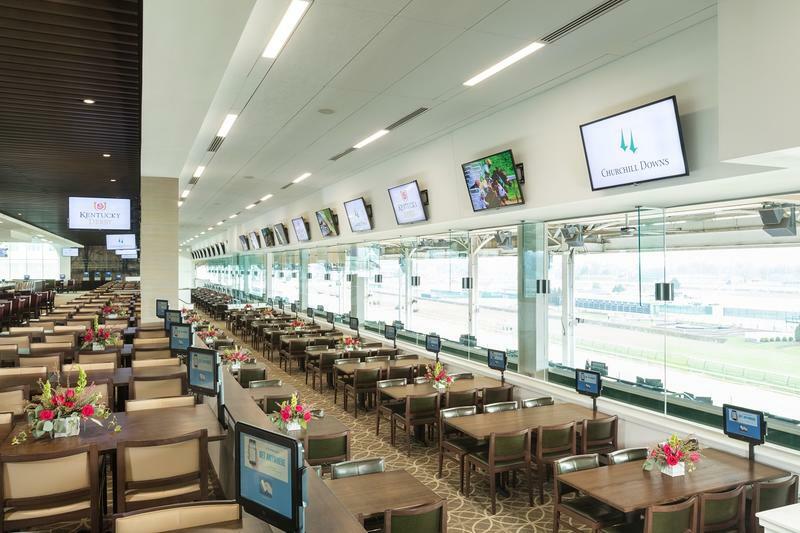 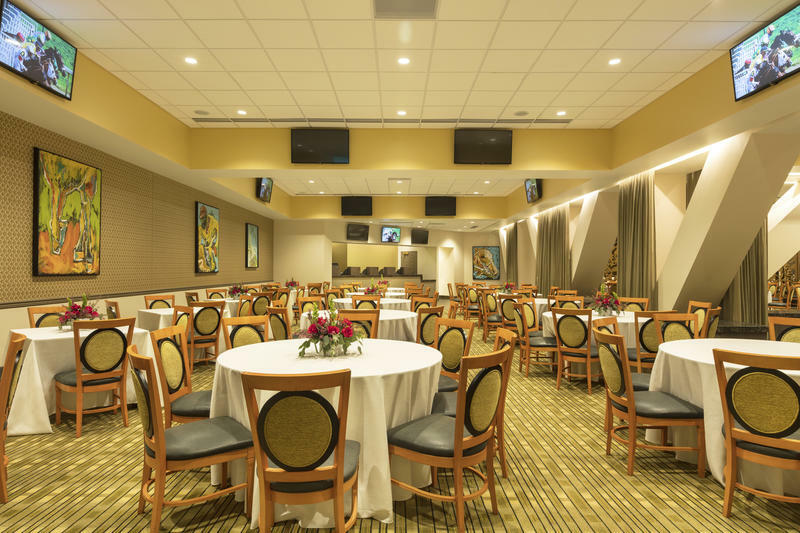 The Turf Club is an exclusive, members-only lounge and dining room located in the Clubhouse section of Churchill Downs. 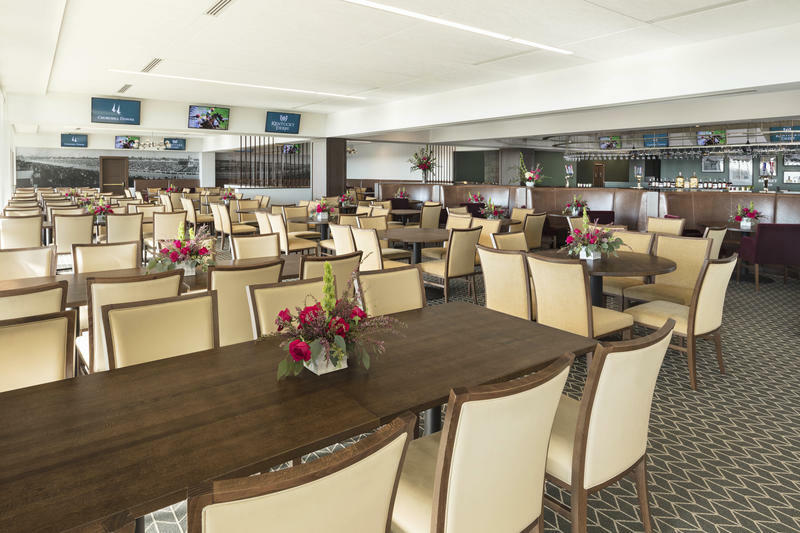 The Trophy Room is an interior private dining room with access to a balcony that overlooks the racetrack, Finish Line and Paddock areas. 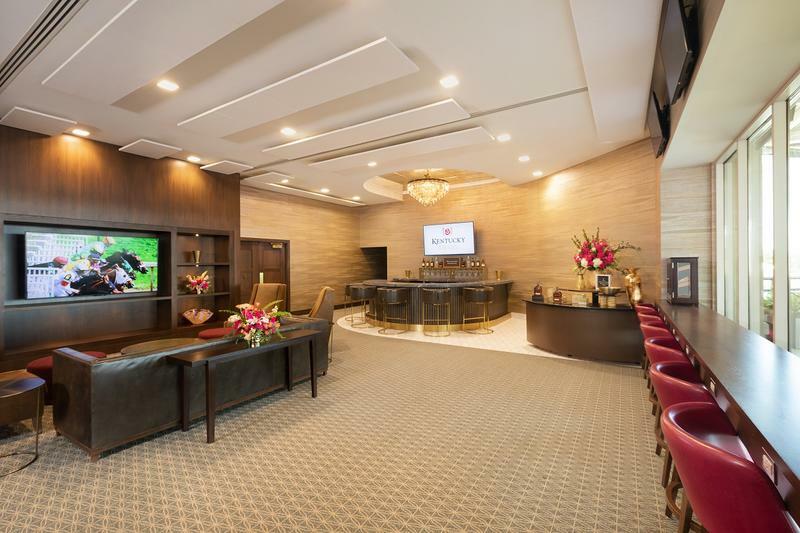 Beautifully appointed interior dining lounge featuring an enlarged wall of 90-inch flat-screen TV's. 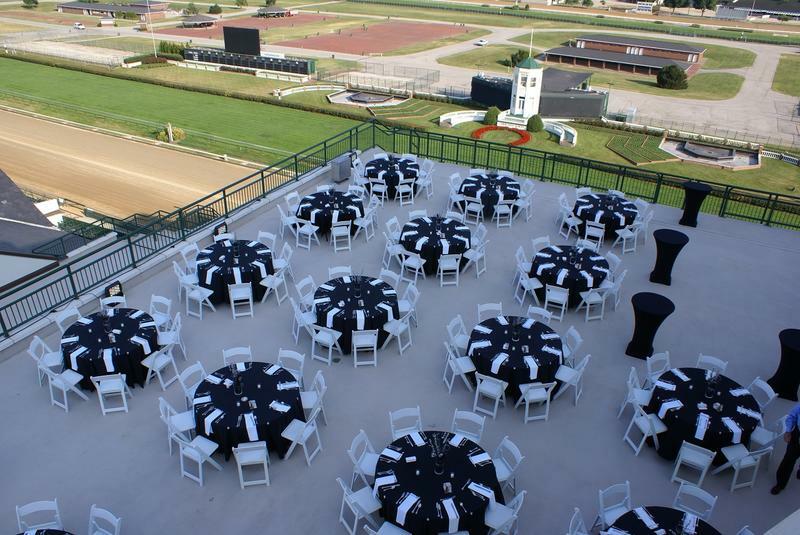 Picturesque open air event locations are open throughout the Plaza & Paddock including two large fully covered balconies perfect for unique rooftop style events.Also, the Gardens at Aristides, Plaza courtyard, or Infield with indoor backup options available are the perfect fit for an evening set under a large tent or under the stars. 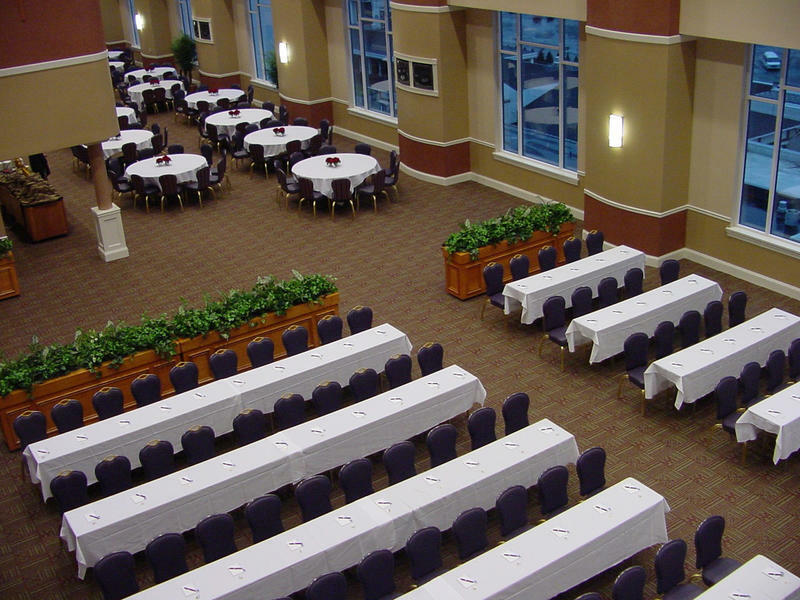 The Triple Crown Ballroom with high ceilings and floor to ceiling windows are ideal for a grand dining event with entertainment. 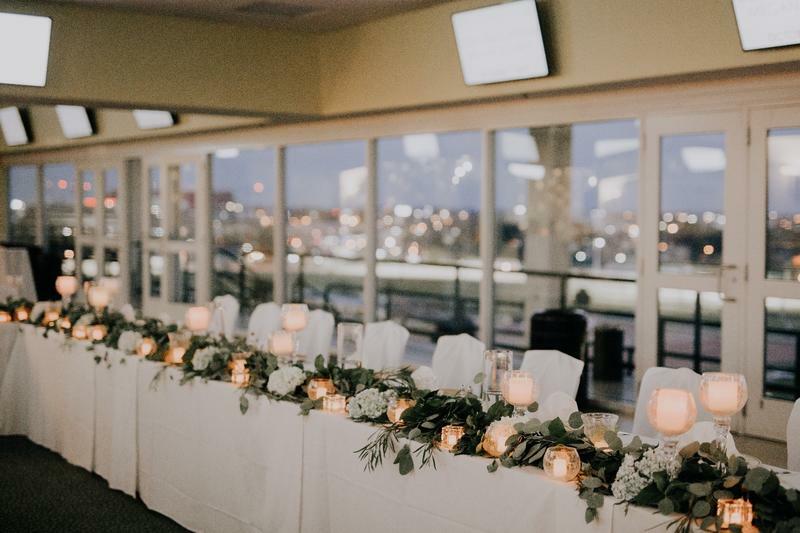 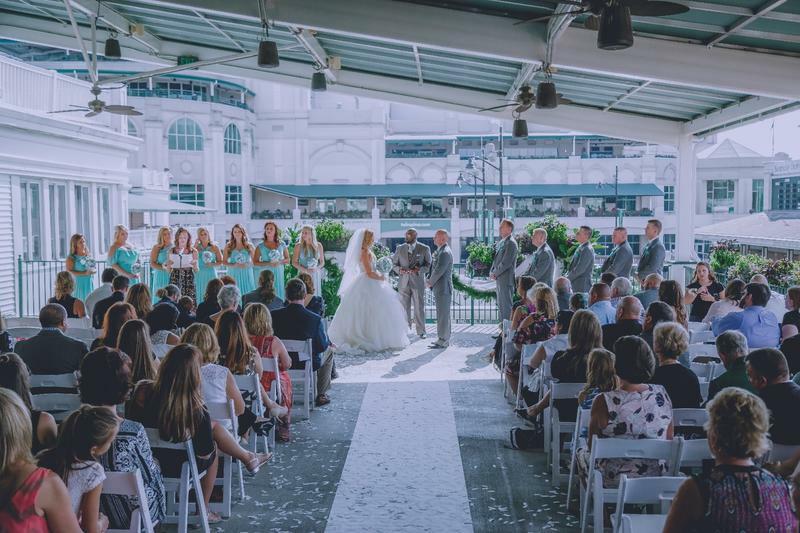 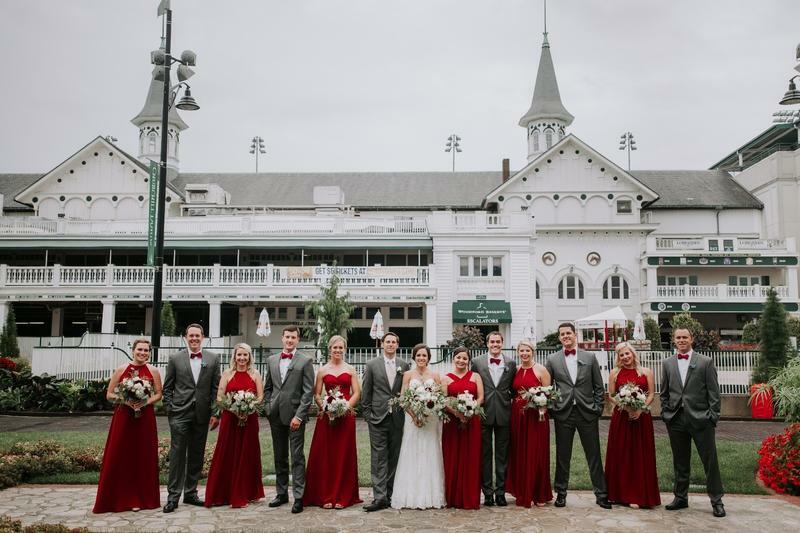 Located on the fifth floor of the Jockey Club Suite Clubhouse the Triple Crown Room looks over the downtown Louisville skyline.The Grand Foyer leading to the space is ideal for cocktail hour in this amazing events space featuring a large two tier balcony overlooking Churchill’s historic racetrack. 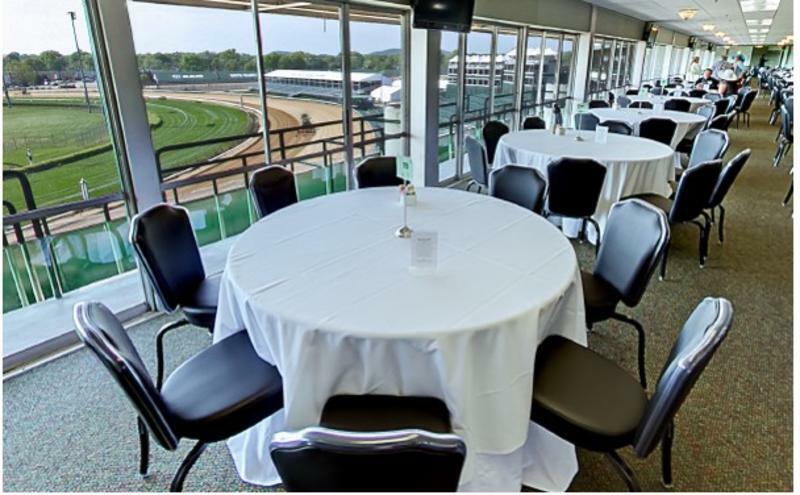 Interior private rooms for dining or business meetings, the Oaks Room and the Derby Room can each accommodate up to 80 guests. 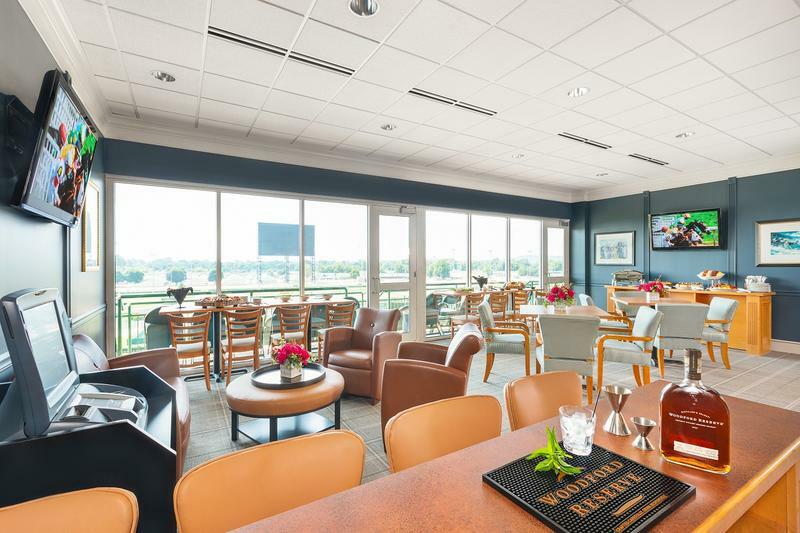 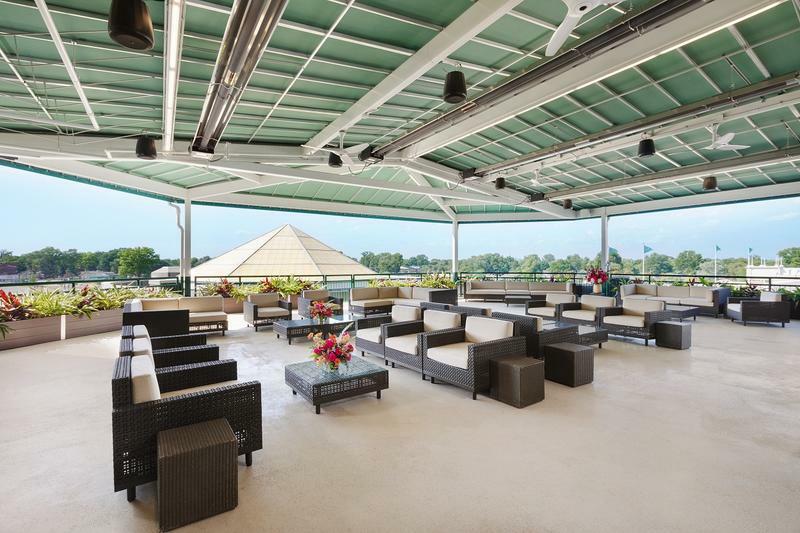 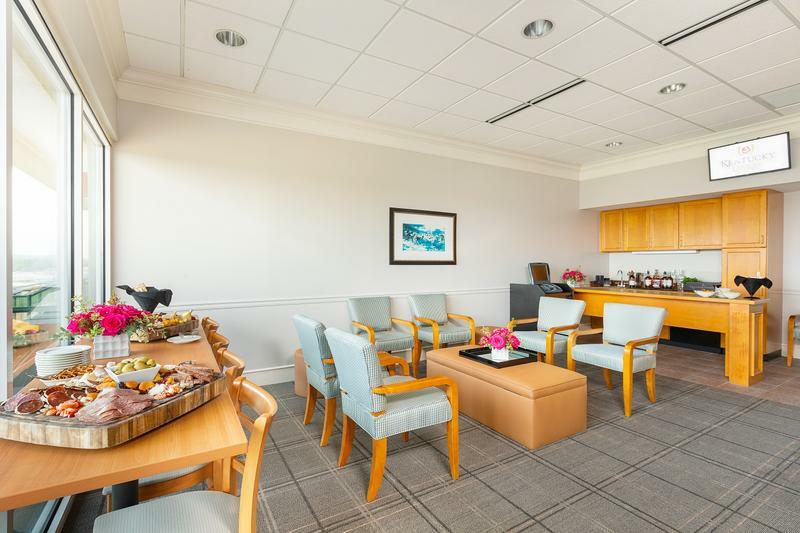 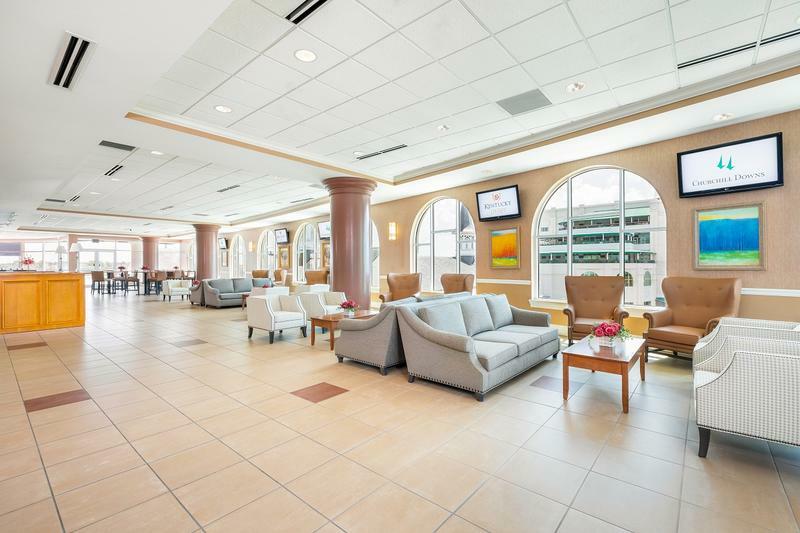 Located on the fourth level of the Jockey Club Suite clubhouse each room provides a spacious view of the downtown Louisville skyline. 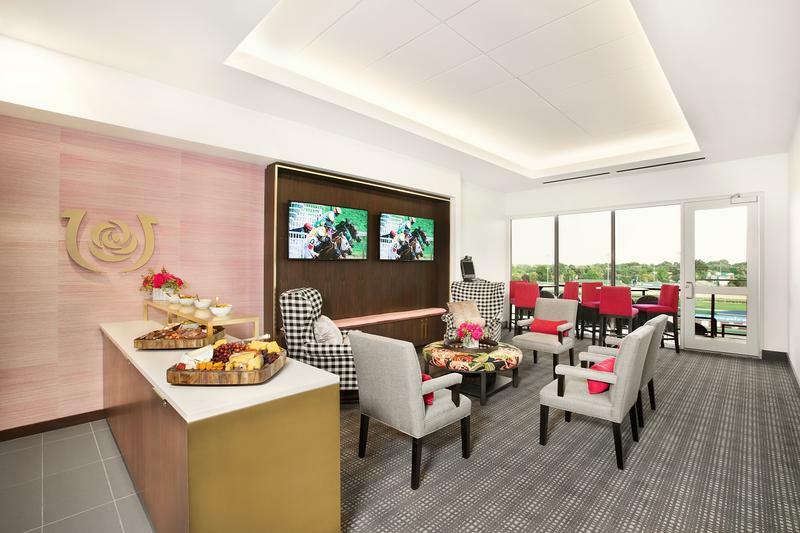 In addition, each room offers easy access to nearby balconies to view the racetrack. 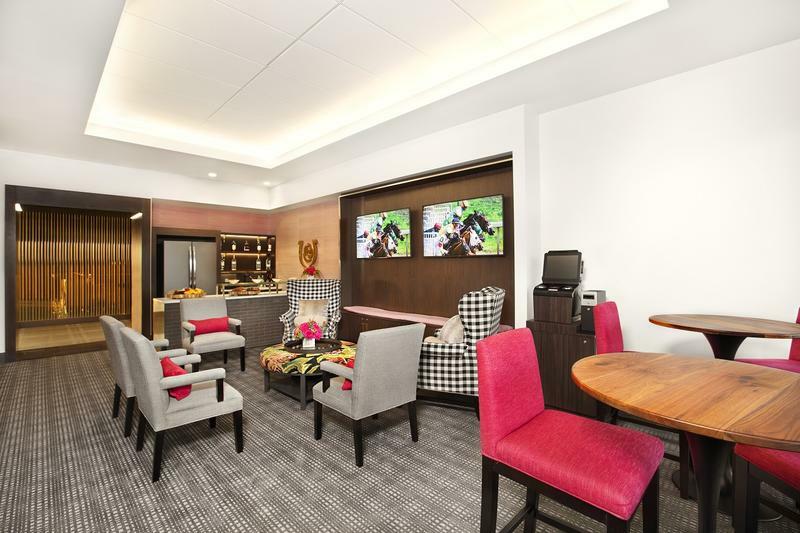 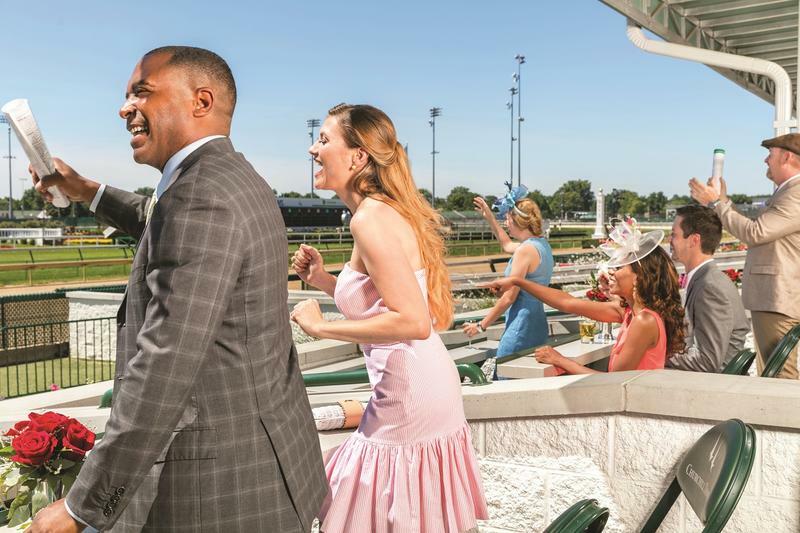 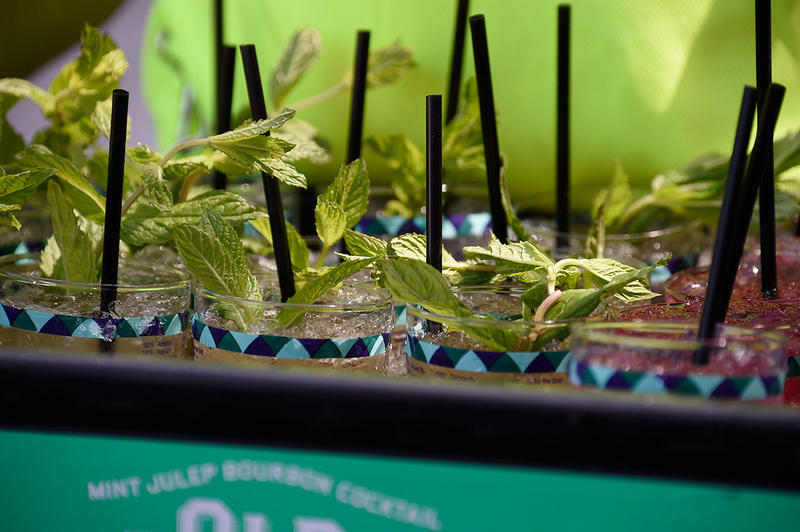 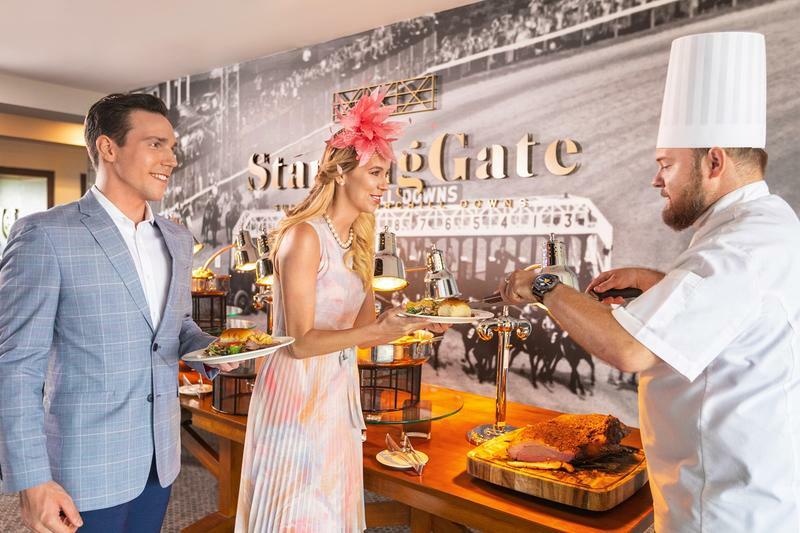 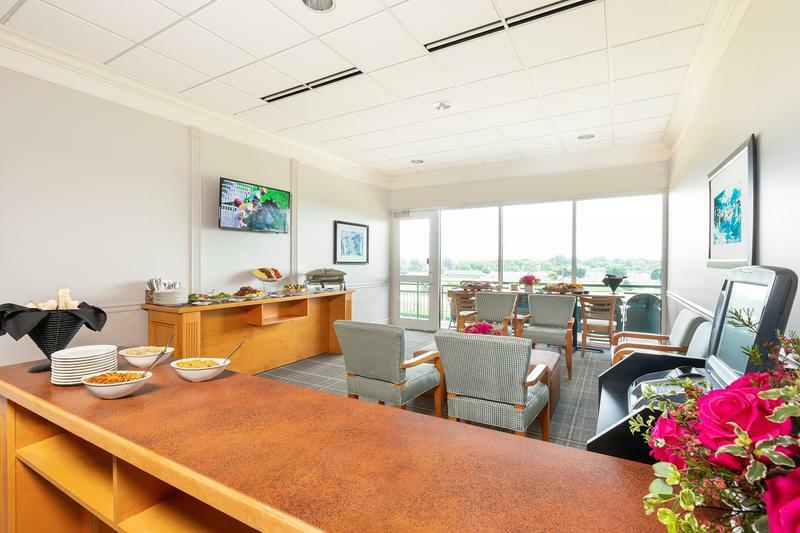 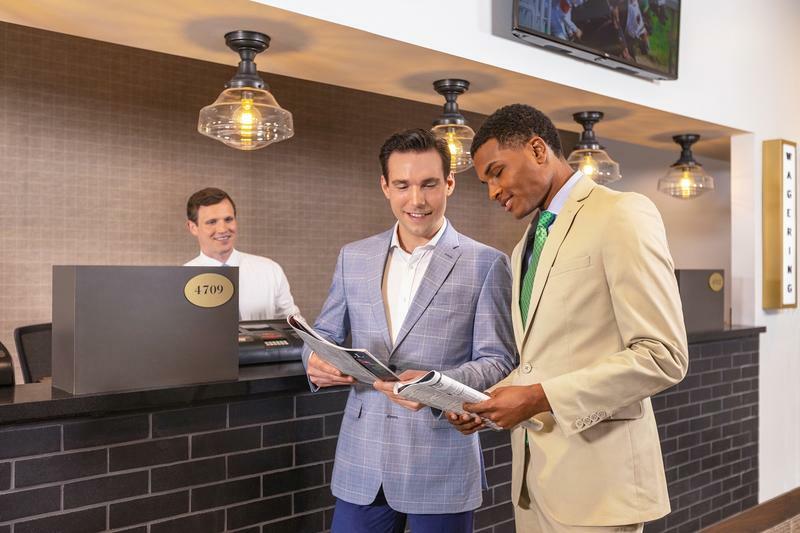 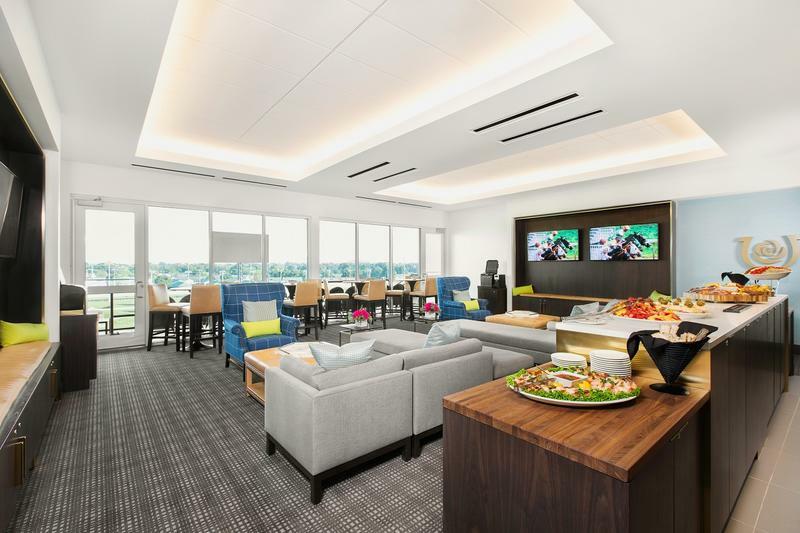 Starting Gate Suites leases are available Derby week, premium select race dates and private events. 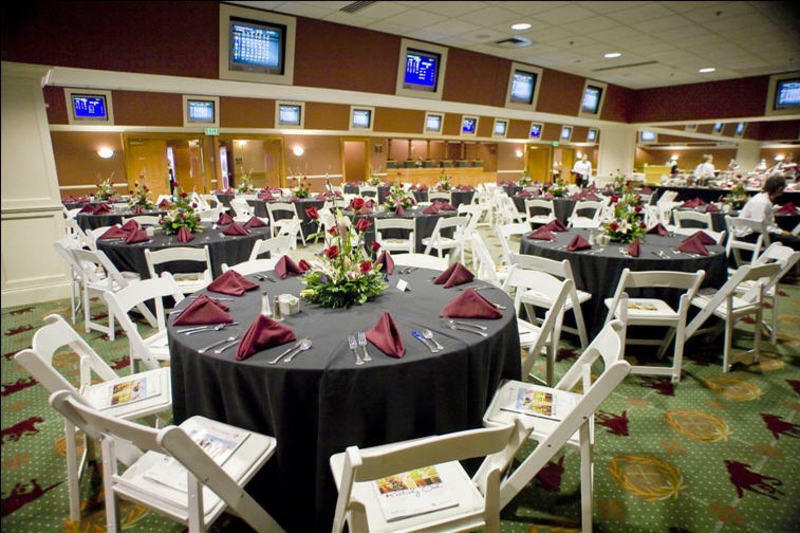 Treat your guests to a wager! 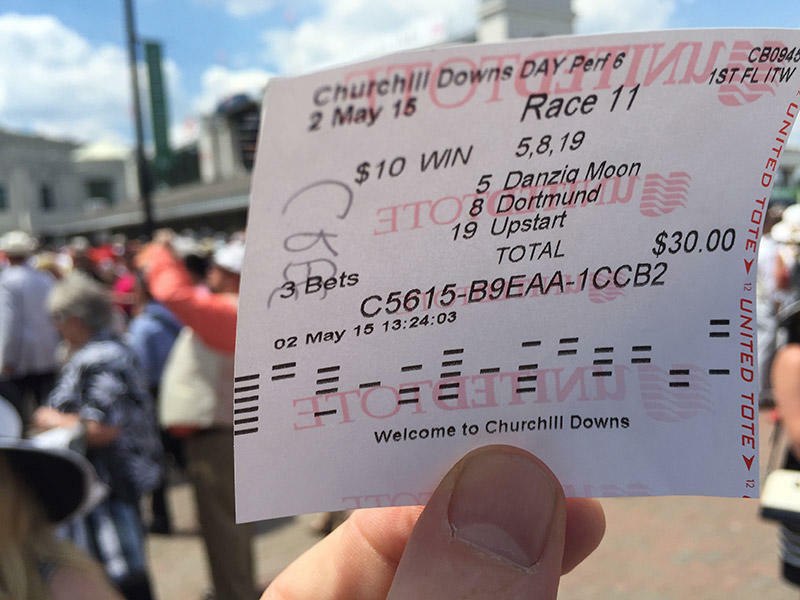 Pre-purchased wagering vouchers can be printed in $5, $10 or $50 increments. 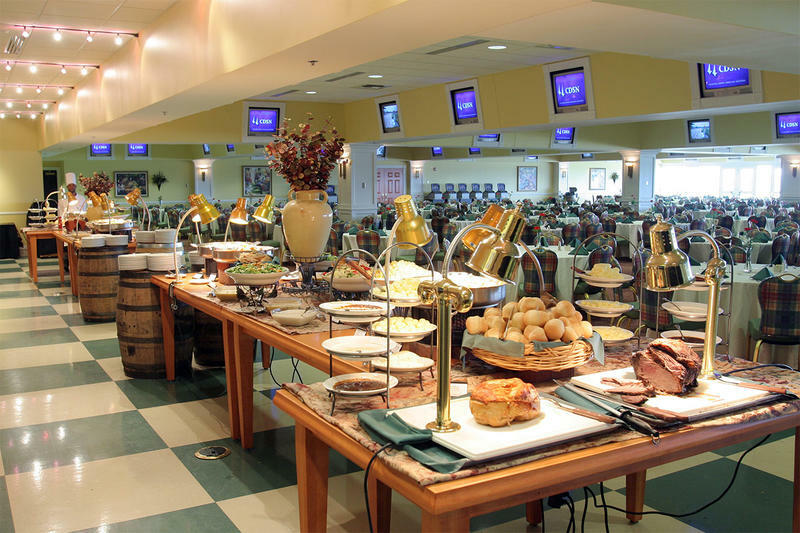 Vouchers printed in increments of $5 for guests to use at the Gift Shop and all concession areas. 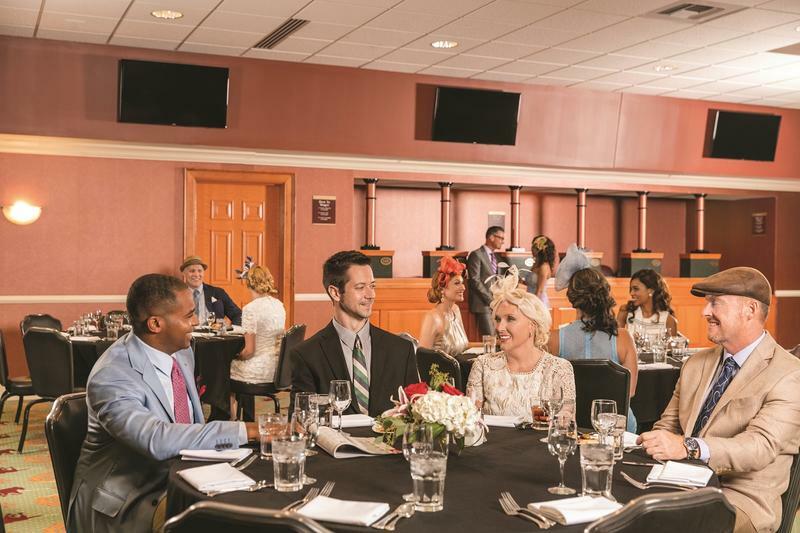 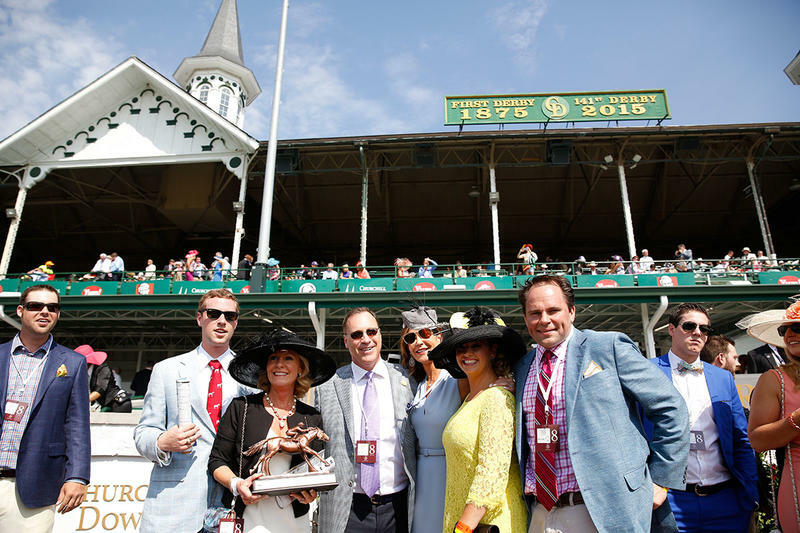 To learn more about group enhancements, please contact a group sales representative at 502.636.4450, or via email at groupsales@kyderby.com. 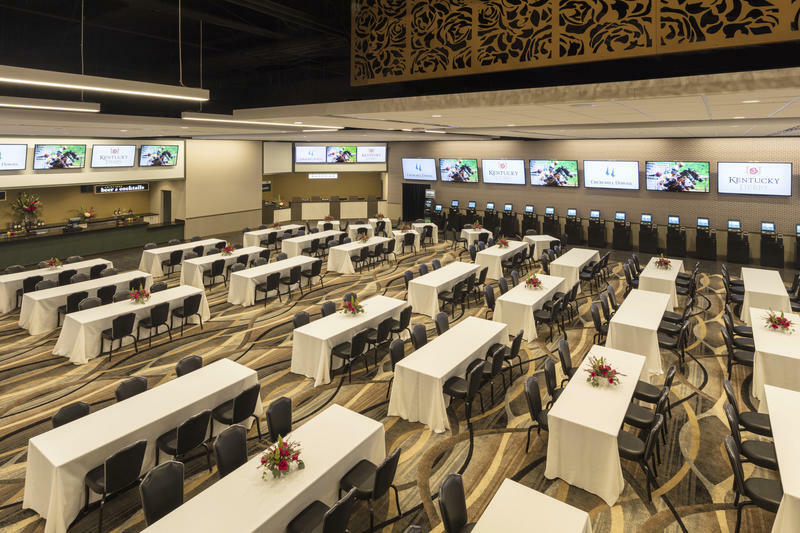 Enhance your event with numerous event extras including audio-visual on-site, mock racing entertainment and programs, video presentation on the world's largest 4K outdoor video board, and many other racing options.